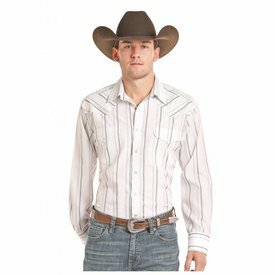 Solid White Long Sleeve Snap Front Shirt. Light Navy and Grey Scenic Border Print Long Sleeve Snap Front Shirt. Teal, White and Brown Lavaca Vintage Aztec Print Long Sleeve Snap Front Shirt. Black and Red Flame Design Long Sleeve Button Down Shirt. 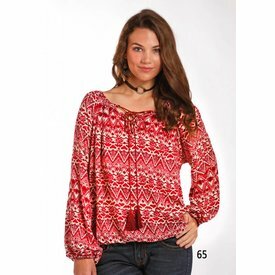 Red Southwestern Style Stripe Print Challis Peasant Blouse. 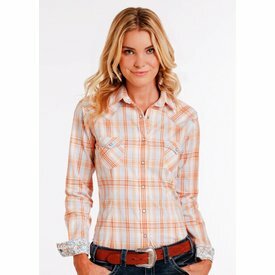 Orange and White Superior Ombre Plaid Long Sleeve Snap Front Shirt. 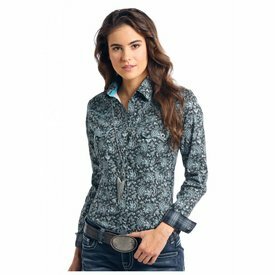 Blue Poplin Print Long Sleeve Button Down Shirt. 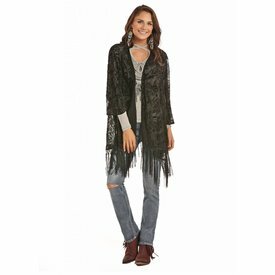 Floral Burnout Boho Duster with Tassel Fringe. 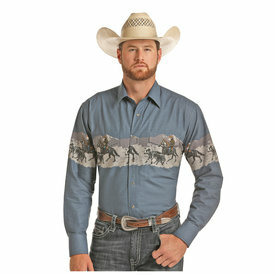 Black and White Stablecrest Vintage Print Long Sleeve Snap Front Shirt. 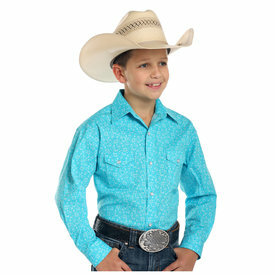 Turquoise and Blue Navasota Vintage Print Long Sleeve Snap Front Shirt. 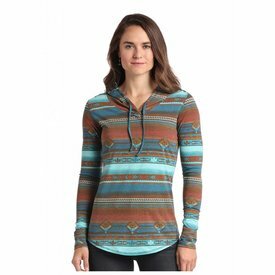 Multi Brown and Turquoise Serape Print Long Sleeve Hoodie. 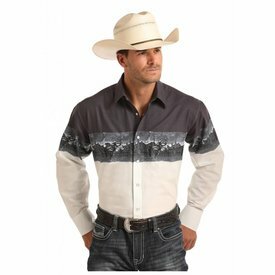 Grey and White Scenic Border Print Long Sleeve Snap Front Shirt. 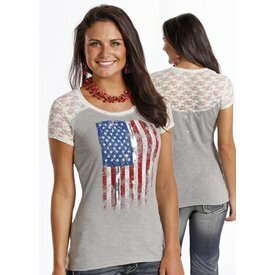 Grey Jersey Knit Cap Sleeve Shirt with Distressed Flag Screenprint. 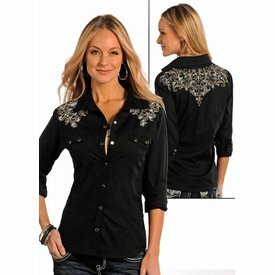 Black Long Sleeve Snap Front Shirt with Embroidery. White Lurex Stripe Long Sleeve Snap Front Shirt. 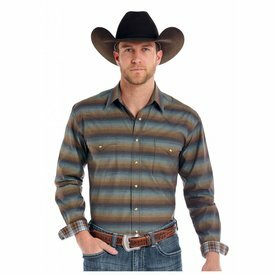 Multi Brown and Blue Wingo Vintage Ombre Stripe Long Sleeve Snap Front Shirt. 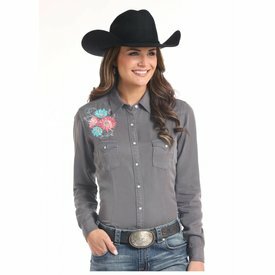 Grey Escalante Solid Long Sleeve Snap Front Shirt with Floral Embroidery on Front and Back. 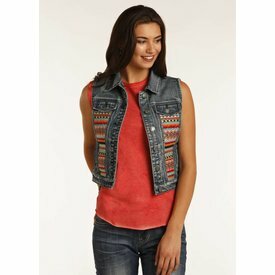 Medium Vintage Wash Denim Vest with Aztec Embroidery Insets. 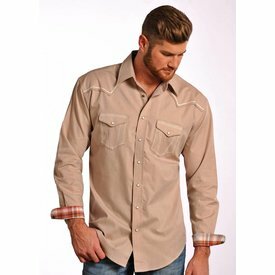 Tan Iridescent Micro Twill Long Sleeve Snap Front Shirt. 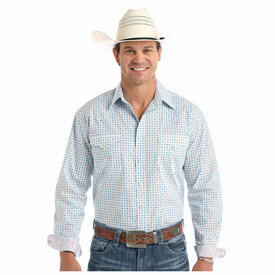 Solid Black Long Sleeve Snap Front Shirt with Playing Cards Embroidery on Front and Back Yokes. 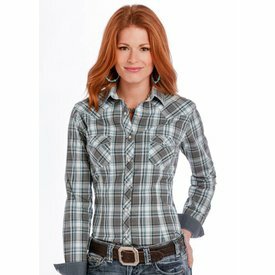 Grey, Blue and White Flushing Vintage Ombre Plaid Long Sleeve Snap Front Shirt. 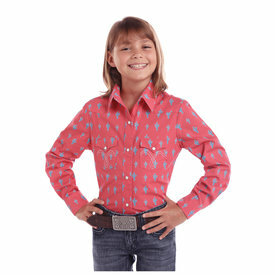 Dark Salmon Long Sleeve Snap Front Shirt with Cactus Print. 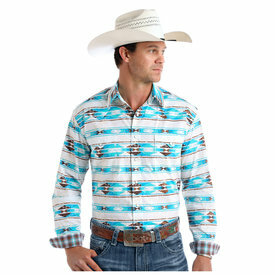 Turquoise and White Portero Antique Print Long Sleeve Snap Front Shirt. 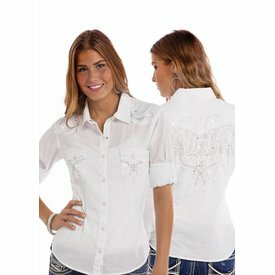 White and Blue Linden Vintage Print Long Sleeve Snap Front Shirt.